This weekend, a post on XDA Developers effected a flurry of media to report that the Galaxy S6 would allow users to DELETE ALL THE APPS! Following Samsung’s promise to cut down on the number of pre-installed apps, screenshots uploaded to XDA show a Delete icon next to core system apps like Google Chrome and Samsung S Health. The presence of this icon, which looks a lot like the delete workflow on iOS, was misinterpreted to mean that all of them were actually removable. Unfortunately, none of them are removable in the traditional sense. Tapping on the minus sign next to the app icon leads to a prompt asking whether the user wants to disable the app. Disabling an app doesn’t delete it from the device altogether, but merely hides it from the user — the APK and any app data is still stored in the flash memory. The ability to disable apps, including some system apps, has been available to OEMs since Android Jelly Bean.While it’s admirable that Samsung allows these apps to be disabled at all, users will be disappointed to learn that pre-installed third party apps like Microsoft’s OneNote, OneDrive and Skype can’t be altogether removed. Similarly, it may be dangerous to allow users to disable system level apps like Maps or Drive, which many other apps depend on to function properly.In our Galaxy S6 review, we found that Samsung had reduced the amount of space taken up by system apps by 30% over the Galaxy S5. 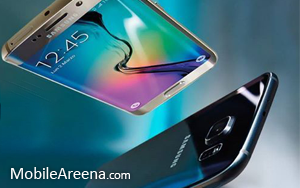 Hope this clarifies some of the realities of “removing” apps in the Galaxy S6.